Following Carlo Ancelotti's sacking, Bikash Mohapatra takes a look at EPL managers who lost their jobs after failing to deliver this season. Roman Abramovich has done it again. Just two hours after Chelsea lost their final league match to Everton and finished a distance second -- nine points behind champions Manchester United -- manager Carlo Ancelotti was sacked. Or, shall we say, asked to leave. 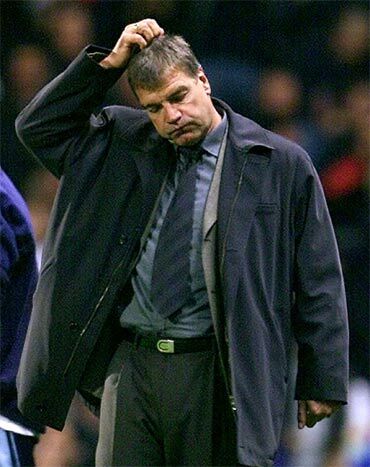 Ancelotti is the sixth managerial change in Chelsea since the Russian took over the London club in 2003. The list includes eminent names like Claudio Ranieri, Jose Mourinho, Avram Grant and Luiz Felipe Scolari. Only Guus Hiddink left (not sacked) of his own accord, after he fulfilled his short-term contract, having replaced Scolari after the Brazilian was sacked midway through his first season. The Italian's fate had long been sealed following the Blues' failure to win any silverware this season. However, experts have also pointed out his inability to lead the Stamford Bridge club to Champions League success as the major reason. The Italian, who twice won the coveted competition with AC Milan, was signed by Abramovich in 2009 to achieve the same at Stamford Bridge. To his credit Ancelotti, delivered both the Premier League (first in four years) and the FA Cup titles in his first season -- Chelsea's first ever double. However, it was in the top European competition that he failed twice -- losing to eventual champions Inter Milan in the first knock-out round last year and in the last eight to Manchester United this year. Abramovich is desperate to achieve Champions League glory and if that means impatience and untimely sacking of reputed managers, so be it. Remember, even Mourinho was not spared despite having won six trophies in three years -- including Chelsea's first league title in 50 years -- and leading them to two successive semi-finals in Europe's premier competition. 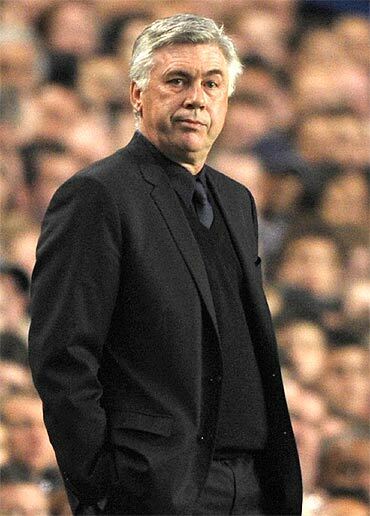 Ancelotti's sacking, though widely speculated, turned out to be the most high-profile managerial change this season. The others have been a mixed bag. Have a dekko. The first major managerial departure came just five days before the start of the new season. 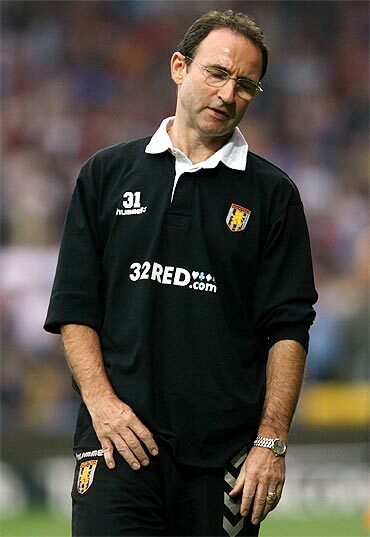 It is imperative here to clarify that Martin O'Neill wasn't sacked as Aston Villa manager. He resigned. However, the club owner, Randy Lerner, did issue a statement later saying the Scot no longer shared a common view. So the possibility of the latter being sacked, had he not taken the step first, cannot be ruled out. Despite leading the club to three successive top six finishes and a League Cup final, O'Neill was never provided the requisite funds to bolster his squad. And that frustrated the veteran manager considerably. The result, a shocking announcement even before Aston Villa could start their 2010-11 campaign. It was very much on expected lines. Even before Roy Hodgson was officially appointed manager of Liverpool, replacing Rafael Benitez, many opined that the former Fulham boss had insufficient experience with big clubs and could struggle to manage star players. And six months later, the 63-year-old proved his doubters right. Hodgson secured his first league win, a 1-0 result over current club West Brom, almost two months after he had signed on. However, he would soon see the club being eliminated from the League Cup -- losing at home to League Two side Northampton Town -- and suffer a series of league reverses, lying third from bottom at one stage in what was their worst start in 82 years. Liverpool's performance improved a bit thereafter. However, it wasn't enough for Hodgson to save his job. He left by mutual consent in the second week of January. The Englishman, having been in charge at Anfield for just 31 games, is the shortest serving manager in the club's history. A little over a month later, the 63-year-old took charge of another mid-level club, West Bromwich Albion. Sam Allardyce had managed Blackburn Rovers very well since joining them in December 2008. The 56-year-old guided the club to a 10th place finish in his first season and mid-table finish in the subsequent seasons. And the first thing the new owners did was to announce that they wouldn't empty their pockets and secure big signings. Allardyce though continued doing a decent job with his limited resources. However, less than two months after the takeover, the veteran manager was asked to leave. The decision was surprising, for sure, but not unexpected. 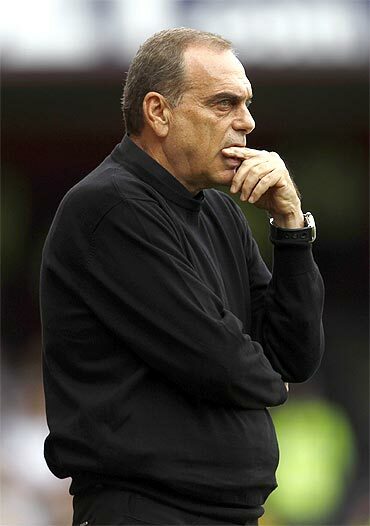 That, in brief, sums up Avram Grant's recent stint in the Premiership. Last year the former Chelsea manager couldn't save Portsmouth for going down; this season his West Ham finished bottom of the table. If Portsmouth's FA Cup final appearance came in as a respite last season, this year it was West Ham's progress to the last four of the League Cup -- beating Manchester United 4-0 en route -- that proved to be the saving grace. However, the Hammers won only seven (of 37) Premier League games under Grant. Making matters worse for the Israeli coach was the fact that his club won more Cup games than that in the league. Hours after West Ham had lost their penultimate game of the season to Wigan, Grant was sacked. 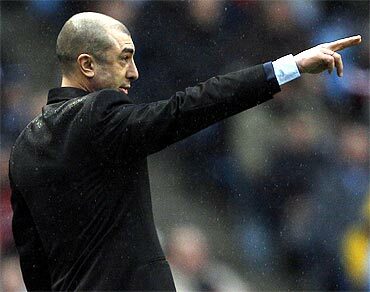 Roberto Di Matteo enjoyed early success at West Bromwich Albion. In his first season he ensured the club an automatic promotion, and in his second, he gave them a positive start. The Italian guided the club to their best start to a Premier League season, with 10 points from six games, including a valuable away win at Arsenal. The former Chelsea star was named Premier League Manager of the Month (for September) and continued to impress with a 2-2 draw at Old Trafford. However, the fairytale didn't last long. The Italian was replaced after a poor run of form which saw West Brom lose 13 of their 18 matches in what can be described as an awful stretch. 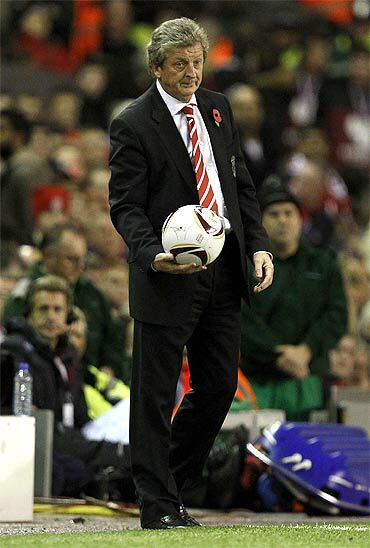 Roy Hodgon, having himself got the axe at Anfield, took over. 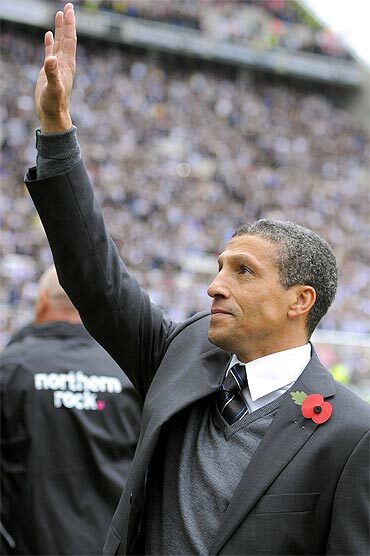 Chris Hughton was the first Premier League manager to lose his job this season. The former Tottenham player was a popular choice at St James' Park. Having been appointed as a caretaker manager in 2009, the 52-year-old's job was soon made permanent by the club's owner and Hughton expressed his gratitude by ensuring a speedy promotion to the Premier League -- Newcastle had been relegated the season before. The 2010-11 season started well for Hughton, with Newcastle scoring vital wins over Aston Villa, Everton and Arsenal. However, he was surprisingly sacked in the first week of December in favour of an individual with more experience (Alan Pardew). The decision received criticism from various quarters, but it didn't matter. It had already been made.